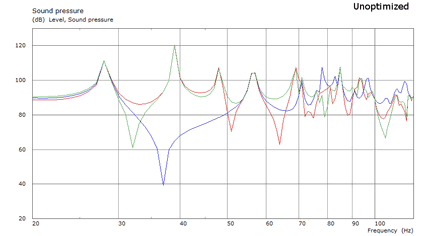 Consistent bass can be extremely tough to achieve, particularly under 100Hz. Using boundary element modeling, we model your room to determine the best locations for listeners, speakers, and subwoofers. 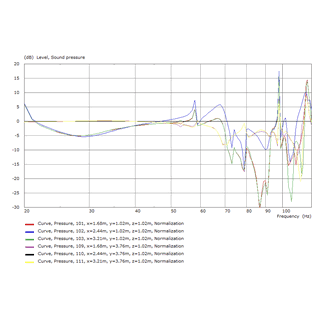 Acoustic Frontiers’ Low Frequency Optimization service determines the placement for speakers, home theater subwoofers, and listeners that delivers the best response in the region under 100Hz. This audio region is one of the most challenging areas to get right. Why? 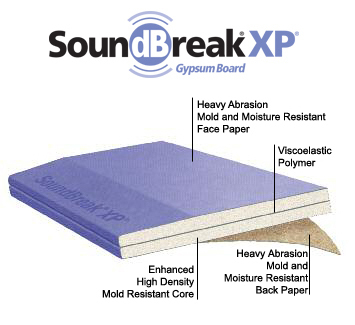 Because room modes can cause resonant peaks while destructive reflections lead to deep suckouts. And in rooms that require consistent bass in multiple locations, such as home theaters, the challenge becomes even greater. 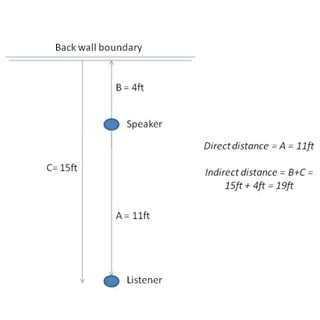 Our approach to positional optimization uses sophisticated boundary element modeling to determine speaker, sub, and listener locations. In existing rooms with significant placement flexibility we’ll typically suggest a starting point for placement based on computer modeling before Room Acoustic Analysis. In other cases, the issues identified during Room Acoustic Analysis inform the optimization work required to minimize the impact of room modes and speaker boundary interference. Although low frequencies can be optimized through speaker and listener placement, adding one or more subwoofers can often result in significantly flatter and better quality bass. 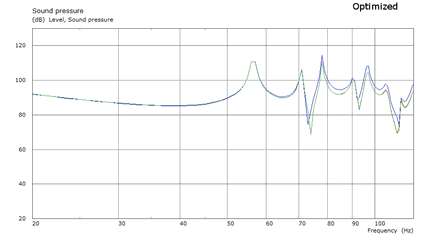 Our knowledge and experience in subwoofer placement is among the business—we understand how to place and integrate subs to fill sharp dips and how to use room mode cancellation techniques to reduce the level of resonant peaks.